Do you have a crunchy friend in your life? You know the kind…She likes natural products, alternative healthcare, farmer’s markets, avoids synthetics and all of that other “hippie” stuff. They can be so hard to buy for, right? I know, because I happen to be one of those moms, and hear that all the time! Since I am a little bit “crunchy,” and happen to know quite a bit about what we like, I thought I’d put together a little gift guide to help you out! The holidays are right around the corner, after all! Massage Gift Certificate: Umm…hello. This isn’t even a recommendation for crunchy friends. Don’t we all love these?! Plants: I’ve got such a soft spot for plants, and love having them all over the house. Not only are they an easy decoration, but they also purify the air. 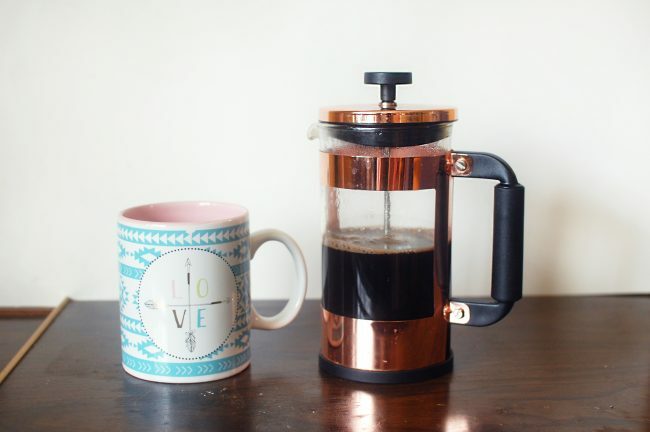 French Press: I don’t know many moms that don’t like coffee! In the last year, I’ve started using a French Press, and I can’t recommend it enough. It might take a couple of extra minutes, but it tastes amazing and you don’t have to worry about your hot coffee heating up plastic or running through a bleached filter to get to you. Plus, they’re super affordable and hardly take up any room! Honestly, I think a french press is an item any coffee lover should get, crunchy or not! Essential Oils: Essential Oils have become huge in the crunchy mom circles. They just have so many uses, and can replace so many toxic things in our households! If your friend isn’t already using essential oils (what???) then a good starter kit is what I’d recommend. I got started with the Premium Starter Kit from Young Living and can’t recommend it enough. It comes with a diffuser and 11 really versatile oils, so you can really dive in and start learning! Sweet Treats: If your crunchy friend is anything like me, I can guarantee you she still wants some chocolate in her life. While I don’t mind a good dark chocolate every now and then, I’ve recently become obsessed with Lily’s chocolate bars. They’re stevia sweetened, which really satisfies the sweets craving without all the guilt I get from eating Hershey’s. These are on the pricey side, though, so it’s a rare treat, and something that would be well appreciated as a gift! Non-Toxic Makeup: If she likes makeup but wants something more natural, I can’t recommend Savvy Minerals makeup enough. It’s completely non-toxic and all natural, plus it includes ingredients that are actually good for your skin. I can personally vouch for how much better my skin looks now that I’ve switched to this makeup, and I’ve loved the colors I’ve tried as well! You can buy their makeup pieces individually, or as a kit that comes with foundation, blush, lipgloss, eyeshadow and misting spray. I started with the kit so I could do a full face, and I’ve added pieces individually over time! Ethically Made Clothing: A lot of my crunchy friends (myself included) find that ethically sourced items are really important. I was recently introduced to a new clothing line called Salt and Light and fell in love. Not only is the clothing an amazing quality, but this is also a company that partners with artisans both locally and globally, and gives back through donations. When I spoke with Breanne, I could really see her passion for ethically sourcing our clothing and improving lives in the process. If you buy, feel free to use my code: ANGIE10 for 10% off your order! Cast-Iron Skillet: IMO, everyone needs a cast-iron skillet. That non-stick coating we grew up loving is so bad and none of us has any business using it. If you’re looking for a good recommendation, this is the brand I use and love! 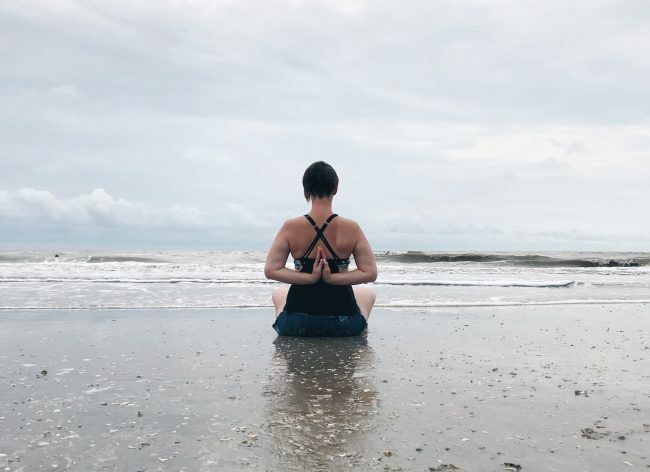 Yoga Gear: Is your friend into yoga? Speaking as a yogi myself, I am always happy to get new gear! Clothes are kind of hard to buy for others, since we all have our own preference, but things like a good yoga mat, towel, or blocks can always be useful! I linked the ones I use in case you need some recommendations! Kombucha Starter Kit: Okay. This one is a little more “out there” but it’s something I think would be really cool to receive as a gift. For years, I’ve wanted to make my own kombucha. I didn’t even realize there were kombucha kits available until recently! Essential Oil Roller Bottles: If your friend loves essential oils, she probably also knows the value of a good collection of roller bottles. We use these all the time for easy topical application. 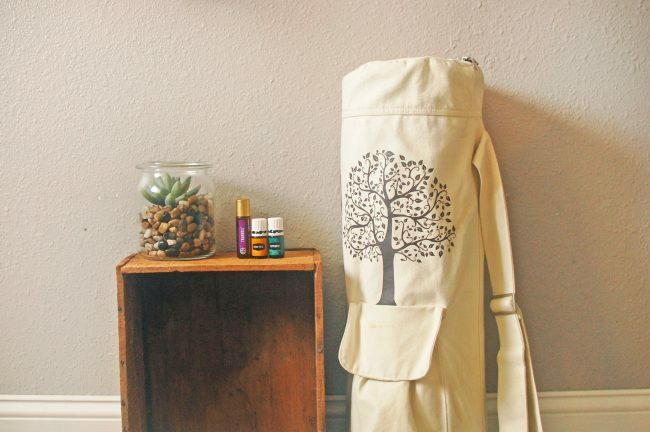 A set of pretty roller bottles would be a really sweet gift for any oil loving friend! I recently got these off of Amazon and think they’re so pretty! I’m also really in love with the collections available from Whimsy and Wellness! Instant Pot: Oh man. I know some people are scared of the Instant Pot (whyyyy??? ), but I personally couldn’t function as a mom without it. Okay, fine. I could function, but we’d eat out a lot more. That’s something I really don’t want to do, so I’m so grateful for my Instant Pot! Yoga Lessons: We’ve covered yoga gear above, but it’s also worth mentioning that yoga classes and lessons can be pretty pricy! A month paid for at her favorite yoga class, or a few private lessons would be an amazing gift for any yoga loving friend. If you can’t swing that, I personally love the online support I receive from being an MBYogaToGo member. I don’t get to get up and go to class, but at the same time, I don’t have to get up and go to class. It’s a good balance! If you’re interested, you can click here and let her know I sent you! Crystals: Is your friend into crystals and herbs? It’s a new venture for me, but something I’m really enjoying. I recently purchased this cleansing kit off of Etsy and think it’d be a good starter set for anyone wanting to learn! Stainless Steel Water Bottle: Say no to plastic! The further we get on our natural lifestyle journey, the more we realize how much we need to eliminate plastic. A stainless steel water bottle is a great alternative, and won’t overwhelm our landfills. A glass one is great, too! 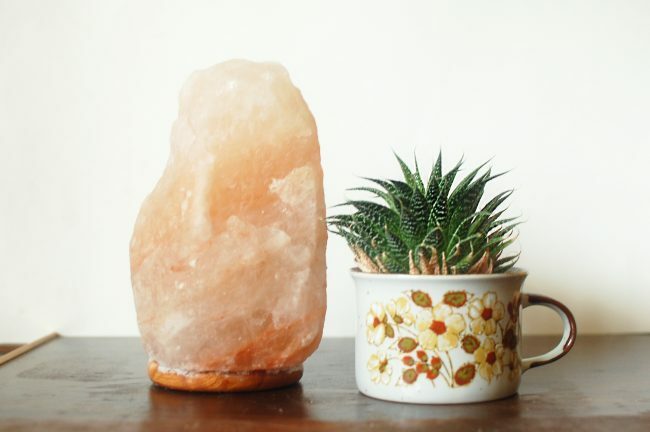 Salt Lamp: These are a huge hit with every crunchy mom I know. Not only are they goreous and put off beautiful warm light, they also serve a purpose! These lamps cleanse the air of things like allergens, mold, & bacteria, making them such a great gift for anyone battling with respiratory issues! This lamp is my favorite, and comes very highly rated! 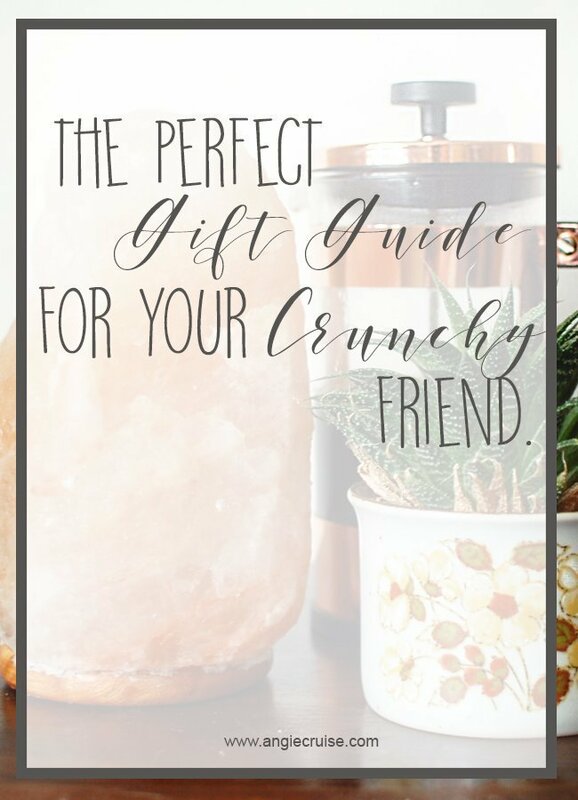 If you’ve got a crunchy friend to buy for this holiday season, I hope this list gives you a bit of inspiration! I know each of the items on here are things I personally love (or want for myself, too). Happy shopping, friends! Overwhelmed with keeping your shopping list organized? Be sure to download my free printable from the resource library! You can get access to that by signing up below.